Optimize your stance on the board, increase your speed and stop falling. Our surf guide/instructors will help you to get a better foot landing and maintain your stability along any kind of path you want to follow. There are obvious benefits to travel light. It reduces the hassles, saves your money before boarding your flight, provides a peace of mind and, above all, doesn't require you to rent a full scale hotel room in order to store a lot of stuff anymore. You can then stay and sleep in a bunk bed with 3 to 6 guests (a very affordable alternative). 1. Measure your board : If it's your first surf trip, maybe you are unaware that most airlines do not accept items longer than 7 feet. 7 means 7. They might no allow you to carry extra length, even by an excess of 2 inches. So, do not take any chance because it could ruin the whole vacations. 2. Bring 2 boards in a single bag : There's no extra cost for you up to a thickness of 12 inches. So you get plenty of room to bring 2. Strap them togheter tightly with appropriate strong straps. 3. A martexin quiver carrier equiped with polyethylene padding : For a weight of only 5 pounds, it provides a good impact resistance and it's ok to quarry it using the adjustable shoulder strap (removable once you drop your case at the customs). You can also attach 3 different handles. Want to bring your skateboard abroad? Some models have a designated compartment separated from the main enclosure. 4. Remove the fins and stick them firmly with duct tape. Don't forget to bring 2 spare sets. Once your are on the beach in Bali, Honolulu, Nicaragua, Costa Rica or Portugal, the chances for you to find fins that exactly fit your equipment are pretty low. 5. Pack the extra spaces with your 2nd wet suit (works better if it's a 2-piece wet suit). Still some room? 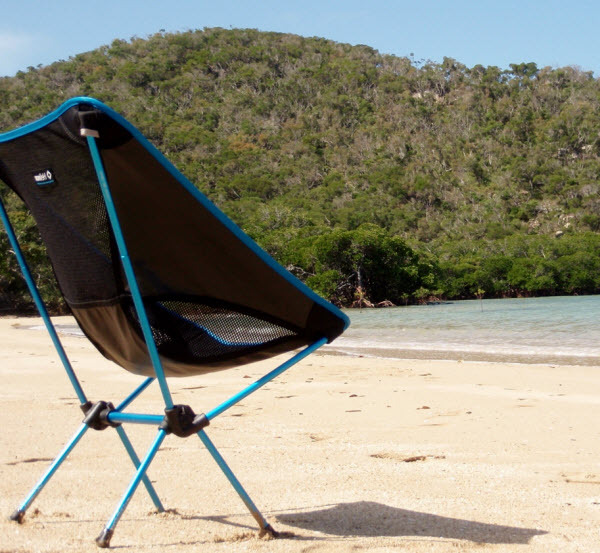 A camping chair-in-bag like the Helinox is a must. Easy to fit, strong and protecting the front end of your boards adequately, you also enjoy an ultra-light, surdy and comfortable seat on the beach. 6. No wax aboard : A wax like the Mr Zogs, Sticky Bumps or Really Tacky just melts and ages (when previously opened). Don't listen to those who say you might not find a high quality stuff at the local shop on the site. You won't save money by buying it at your home place. Keep your wax money for when you get to the surfing site. And save room. 1. Get 1 waterproof and light 45L pack + 1 zipped beach bag (also called all day tote) at speciality online stores like Patagonia, Dakine, Surf Fanatics or CurvSurf. There is a variety of colors and models that will fit your preferences and personal style. 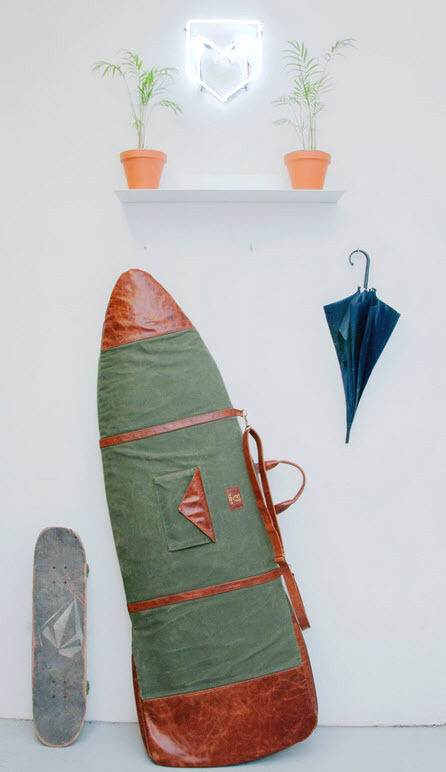 That set up is the perfect carry-on strategy and will fit any cabin storage compartment. 2. Compact ding repair kit : Don't trust locals to fix things at your place. The problem is that, wherever you go, the technician(s) will probably be constantly very busy all the time. That could ruin one day (or more) of surfing for you. Rely on yourself and get minor repairs done using your own tools (and save money too). More, being able to fix stuff could get you new friends around. 3. One high quality FN Lite Neoprene Wetsuit : Requires less storage space because that specific neoprene offers a higher level of compression. It dries faster too. Opt for a short sleeve + back zip model while your 2nd suit with the long sleeves is carried in the quiver carrier. 5. The extra pair of sunglasses : If you have to wear prescription sun glasses, you already know that you need one extra pair. If not, losing or breaking your non-prescription ones will expose you to tourist traps and you could have to spend as much as 1000$ US to replace them if you have high standards. 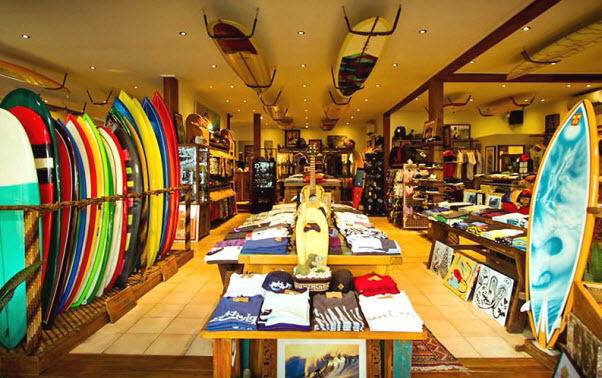 Every week, every day, surfers damage their sunglasses beyond repair and they represent a huge part of the annual income of local stores. Beware! 6. No towels : You consider your beach towel as a fashion item that contributes to establish your identity among others? Come on. Resorts and surfing camps already provide those and, if you didn't know that, oftent in colorful manners. *Those stores also have reward programs that will help you save some money. 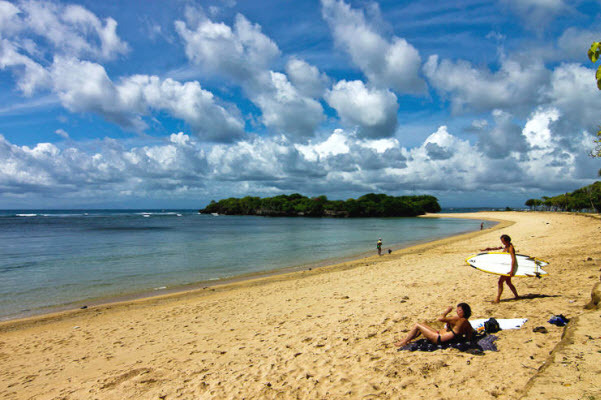 Good to know about Bali Island : The airport is located in Jimbaran at the North of the Bukit Peninsula but you are willing to travel a little further to the East (shuttle or taxi), there are more affordables lodging spots on the eastern part in Candi Dasa and Pandangbai. You'll encounter less tourists and the beachfront is an amazing seascape.